University of Macerata (UniMC) is one of the oldest in Italy: it was founded in 1290. Nowadays, the University enrolles more than 11.000 students and employs around 600 faculty and staff, in a variety of roles. UniMC is the only Italian University with an exclusive focus on social sciences and the humanities: students are offered a broad range of courses, including undergraduate and postgraduate degree programmes, Master’s and Ph.D. programmes, specialisation schools and summer schools in cultural heritage, economics, philosophy, law, arts and humanities, languages, linguistic mediation, communication, education, political science and tourism. The uniqueness of UniMC is well captured in the motto Innovation through the Humanities, which succinctly defines the strategy. UniMC firmly believes in the added value that the social sciences and the humanities bring to the understanding of complex socio-economic and political questions from a multidisciplinary perspective. Using a multidisciplinary and multisectorial approach, the main research areas are: Law, International Business, Education, Tourism, Culture and Heritage, Ageing Society and Social and humanities issues, Applied Ethics, Social innovation, Literary and cultural studies, Linguistics and language teaching. UniMc has strong relations and ongoing projects (also as coordinator) involving international institutions and enterprises, with a particular focus on China related topics and on Eastern European countries. In partnership with Hanban – the Chinese National Office for Teaching Chinese as a Foreign Language – and with Beijing Normal University, Unimc founded in 2011 the Confucius Institute of Macerata. The Confucius Institute of Macerata is the only one in the regions of central and southern Adriatic, the tenth Institute to open in Italy. It acts as a meeting place between the Chinese and Italian culture, also promoting economic relations between the regions of Central Italy and Chinese partners. As the name itself says, Università Politecnica delle Marche (Polytechnic University of Marche – UNIVPM) is exclusively made up of Colleges in the technical-scientific fields and differs from a Polytechnic because of its wider dimensions in terms of scientific areas. Besides the technical-scientific Colleges of Engineering, Sciences and Agriculture, UNIVPM also includes the Colleges of Economics and Medicine and Surgery. Each College offers all possible Courses of the higher education cycles: under-graduate (Laurea triennale), post-graduate (Laurea Magistrale), professional post-lauream courses (Master) and PhD program. The main Campus and the administrative offices are located in Ancona (the mail city of the Marche Region) but other branches are distributed all over the Marche Region in order to bring higher education into strict contact with the most important clusters of the area. The College of Engineering is particularly close to the sites of Fabriano (district active in the mechanical field), Pesaro (famous for furniture production) and Fermo (rich in shoe factories). A degree course of the College of Economics is placed in San Benedetto del Tronto for the peculiar economic activity of the area, especially in the tourism field. The nurse schools of the College of Medicine and Surgery are distributed all over the Region. Some numbers about people: the staff working at UNIVPM is made up of about 700 professors and researchers, 650 administrative and technical employees. There are about 17.000 enrolled students. The University is endowed with up-to-date scientific and technical laboratories. As far as the international aspect is concerned, the University has signed Agreement of Co-operation with many Universities and Research Centres all over the world (http://www.univpm.it/Entra/Engine/RAServePG.php/P/254110013478/T/Collaborazioni-internazionali). Thanks to such Agreements students, researchers and professors have taken part into exchange programmes enabling them to get in touch with different realities and to promote actions aimed at the transfer of knowledge. The University takes part in different European programmes promoting and sustaining research, international collaboration and mobility, including LLP Erasmus (in the different actions it can be implemented). Besides hosting students for study and training periods, the University promotes international mobility for students/young graduates who want to carry out an internship abroad. Following the changes occurred in the productive system of the Marche region in the second half of the 20th century, when a former agricultural area became one of the most highly industrialized regions of Italy, in 2003 the University focused its mission in order to answer the new challenges brought in by the industrial development. Given the prevalence of traditional industries and small firms there is a lack of formal R&D activities in the private sector. Hence the necessity to move from traditional industries to medium-tech and high-tech clusters, change the innovation model from innovation without research to R&D based activities, increase the average size of firms and innovate the organizational and governance model of firms. The new mission of the University is based on a “3T” paradigm: Talents, attracting and educating the best people, Technology, acquiring excellence in applied research, Territory, serving the needs of people and firms in the region. Thanks to the passionate job of its operators and to the support of a friendly community, UNIVPM – in a few years – overcame historic and prestigious Universities as far as quality of teaching and research are concerned. In June 2006 UNIVPM was placed at the top of the lists of Universities yearly drawn by influential press agencies (Il Sole 24 Ore, La Repubblica – CENSIS, Il Resto del Carlino). Three cross-cutting themes, defined in partnership with the regional skills clusters, make up the permanent research axes: Aero-spatial Sector Management, Health Systems Management, Agriculture and Foodstuffs Sector Management. TBS has strong research partnerships and ongoing research projects with enterprises and institutions especially in France, Europe and also in Asia. TBS has also partnerships with about 150 higher education institutions of which 6 are Chinese: University of Hong Kong, Shangai Tongji University, Hong Kong Baptist University, Lingnan University Hong Kong, Shanghai University of Finance and Economics / SUFE and Shaanxi Xi’an Jiaotong University. Founded in 1952, the University Institute of European Studies (IUSE) is the result of the collaboration between the University of Turin, the City of Turin and the Province of Turin. It is a non-profit organisation for education and research relating to Europe as a whole, aiming to prepare experts and executives for an international career. The Institute organises courses and conferences; coordinates research; publishes books, journals, newsletters, working papers and other texts; coordinates a documentation centre holding various resources and information on international organisations. As a recognised European Documentation Centre, the Institute plays a key role in the development of specialised activities directed at both private and public subjects. The library is an invaluable instrument for research and teaching. It is in a constant state of evolution and documents relating to new areas of study and research are continually added to the existing materials. Since its launch, the Institute has been recognised as a European Documentation Centre (EDC) by the EU. As a result, it has dedicated particular attention to the collection and classification of documents published by European Institutions. The EDC in Torino is one of the few in Italy to have all documents published under the European Union since its inception. The Institute participates in partnerships for the presentation of projects financed by the EU through variously themed programmes and has several agreements with foreign universities and centres. In addition to this, IUSE maintains numerous contacts and agreements with organisations, academic institutions and researchers, both Italian and International. These connections provide great assistance in the organisation of courses and programmes. Such contacts include: the International Training Centre of the ILO, the Centre for Studies on Federalism, the UNCITRAL, the UNIDROIT, the European Policy Centre (EPC), the European Training Foundation (ETF), the UNICRI, FIERI, the International Institute of Humanitarian Law and the IOM. Since the IUSE’s launch in 1952, research in the Institute has been focused around themes relative to European and international studies, as well as developing the issues at the intersection between science and law, economy and politics. The Working Papers provide a forum in which research materials are collected and in some cases formulated into final works by scholars from all sources. The objective is to promote enhancing knowledge with this cross-sectoral approach and encourage discussions between theoretic research and the application of that research in private and public transnational organisations. The Working Papers are divided into the following themes: European and Comparative Law Issues; Law & Business in Europe; Migration: Challenges and Policies; International Trade Law; Diplomacy and Security in Europe. We make a leading contribution to lifelong learning (via eLearning), widening access to education for all – enhancing the region’s knowledge base. Beijing Normal University, founded in 1902, is a key university under the guidance of the Ministry of Education, a renowned institution of higher learning, emphasizing teacher education and basic learning in both arts and sciences. BNU has over 3,000 faculty and 21,000 full-time students, and the campus has one education faculty, 22 schools and colleges, 2 departments, and 24 research institutes (centers). According to the assessment results of primary subjects in 2009 as issued by the Ministry of Education Academic Degree Center, the three primary subject, education, psychology, and Chinese language and literature ranked first, and 15 other subjects ranked among the top ten in China. BNU enjoys a program of broad international cooperation and exchange, having signed cooperative agreements with almost 300 universities and research institutes from more than 30 nations and districts. Moreover, BNU has co-established Confucius Institutes with the University of Macerata, Italy, University of Manchester, UK, the University of Oklahoma, USA, San Francisco State University, USA. It acts as a meeting place between the Chinese and western culture, also promoting economic and political relations between the western countries and Chinese partners. 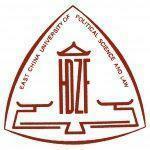 East China University of Political Science and Law (ECUPL) is based in Shanghai and it is one of the key learning institutions of the Ministry of Justice of PRC. It is jointly administrated by the Ministry of Justice and the Local government. It was founded in 1952. ECUPL is a multidisciplinary university, gathering the fields of economics, management, finance, foreign languages and law. In the field of legal education, ECUPL enjoys unparalleled influence and prestige in Shanghai and in greater East China, which is China’s most developed geographical division. At present, ECUPL has four LLD programs, i.e. legal historiography, criminal jurisprudence, economic jurisprudence and international law and nine LLM programs of law. International economic law and history of law are the key subjects assigned by the Ministry of Justice, and the subject of law is the key subject by the local government. ECUPL has excellent reputation in law research programs as well, and should give a valuable contribution in reaching POREEN goals in the legal field. ECUPL has established international relationship with more than one hundred colleges and universities, research institutions and legal institutions all over the country. Always paying attention to the cooperative exchanges with overseas universities or high value institutions, ECUPL has signed cooperation agreement with more than 30 overseas universities, in US, Europe, Asia, and Australia. The discipline of Refrigeration and Cryogenics in Shanghai Jiao Tong University, founded in 1956, is one of the pioneers in the refrigeration field in China. It started to enroll graduate students in 1962, and was authorized to grant Master’s degree and Doctor’s degree in 1981 and 1986, respectively. In 2002, it was chosen as one of the National Key Disciplines. In the same year, the program for Master’s Degree of HVAC was started. Further, it started the program of Building Environment and Equipment Engineering for undergraduates in 2005. The Institute of Refrigeration and Cryogenics (IRC) currently has 15 professors, 1 senior engineer, 7 associate professors, and 3 lecturers. The proportion of faculties with doctorate is 84%. The director of IRC was awarded as a “National Outstanding Teacher in University”, “Cheung Kong Scholar” and “National Outstanding Young Science Foundation winner”. Five faculties are “New Century Excellent Talents in University” by the Ministry of Education. The numbers of winners of the “Shanghai Shuguang Program”, “Shanghai Pujiang Program” and the “Shanghai Rising-Star Program” are 3, 3 and 6, respectively. Institute of Refrigeration and Cryogenics made great achievements in the aspects of subject construction, talent training, educational reform, scientific research, etc. in the last decade. Based on the idea of “innovative, international, and inquiry”, IRC trains innovative students in the refrigeration area. Many high quality courses are available, such as the National Excellent Course “Principles of Refrigeration and Cryogenics,” and the Shanghai Municipal Courses “Refrigeration Equipment and Automation”. IRC won the first prize of Teaching Achievements Award of Shanghai in 2008, and the second prize of the National Teaching Achievement Award in 2009. Then in 2010 it was assessed as the Excellent Teaching Team of Shanghai. Two graduates’ dissertation were honored as the “National Top 100 Doctoral Thesis”, while four are nominated. In terms of scientific research, IRC faculties received financial support from the “High-Tech Research and Development (863) Programme”, the “Key Technologies R&D Programme”, the “973 programme”, the “National Natural Science Fund”, etc. The funding was over 58 million CNY in the last two years. A number of high-level scientific research achievements were obtained and applied to the national economy and industry. Greater than 180 research articles were published on various international journals. IRC established close relationships on international cooperative research and education with world wide universities and organizations, such as Purdue University, University of Savoie France, Hong Kong University. It also has built up broad, tight and long-term partnerships with international and domestic famous companies like Carrier, Lennox, UTRC, Daikin, Panasonic, Hitachi, Haier Group, Chunlan Group, Shuangliang Group. It owns Shanghai Jiaotong University – Daikin Joint Laboratory, Shanghai Jiao Tong University – Haier Simulation Research Center, Lennox Training Center, Shanghai Jiao Tong University – Jiangsu Shuangliang Joint Research Centre, Sino-Italian Green Energy laboratory, etc. Tongji University is one of the leading universities directly under the State Ministry of Education in China. It offers degree programs both at undergraduate and postgraduate levels. The university has School of Sciences, School of Architecture and Urban Planning, School of Civil Engineering , Mechanical School, School of Environmental Science and Engineering, School of Material Science and Engineering, School of Electronics and Information Engineering, School of Traffic and Transportation, Medical School, School of Liberal Arts and Law, School of Foreign Languages，School of Economics and Management，School of Software Engineering，school of Ocean and Earth Science. In addition, there are Institute of Further Education, Institute of Higher Technology, Institute of Vocational and Technical Education, Institute of E-Education, Women’s College, Institute of Automobile Marketing and Sino-German Institute which is authorized by Chinese and German governments to run postgraduate courses. There are also six university hospitals located in different campuses.